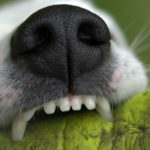 Oral hygiene is one of those often overlooked topics in dog care but it is an important factor in our dogs’ overall health. If your dog has a toothache or sore gums, he is most likely in pain that he is unable to tell you about. If left untreated, the bacteria from that toothache or sore gum can move into Fido’s bloodstream and affect his heart, liver or kidneys! 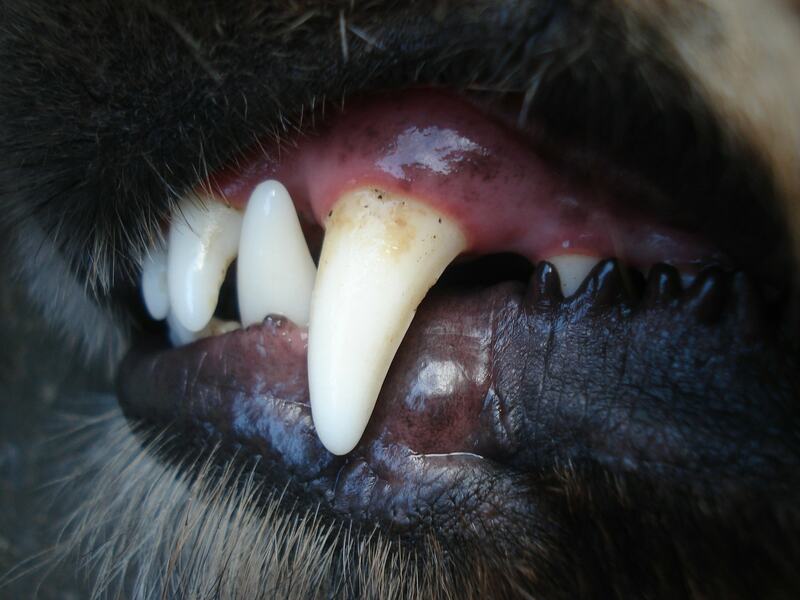 Did you know veterinarians report that 80-85% of dogs over 4 years old have some significant periodontal issues? This can lead to infection and tooth loss but the good news it it’s completely preventable! Dental care should be a daily ritual with your dog, just like proper grooming and getting enough exercise. His teeth should be brushed every day, just like yours but let’s face it…Everyday?? That probably isn’t realistic in most cases. 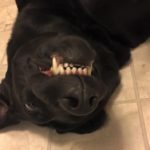 We should be at least trying for 3-4 times a week with the brushing though and this will help immensely in curbing dental issues for your four legged pal. Obviously dogs can’t brush their own teeth, so on that front, it’s up to you. However, your furry friend will probably be more than happy to get in a good long chew several times a week. He’ll be scraping away plaque and he won’t even know it! Natural items like knucklebones are a great choice as they are a bit softer than rib, steak or shank bones. 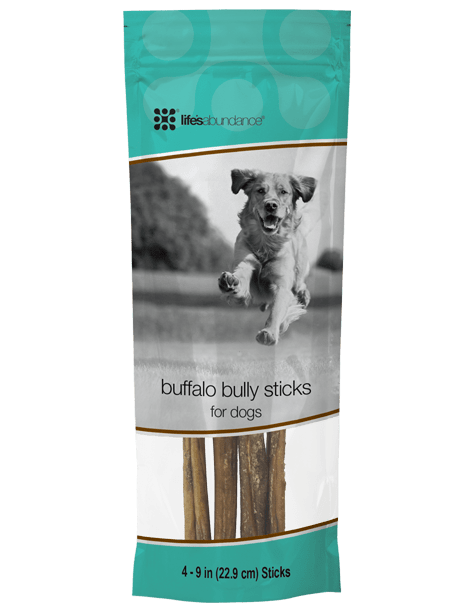 Life’s Abundance Bully Sticks and Buffalo Meat Strips are tasty choices for some chewing fun (your dog will thank you for these). Rubber or nylon toys with bumpy surfaces are also great choices to scrape off some plaque and keep those gums healthy. 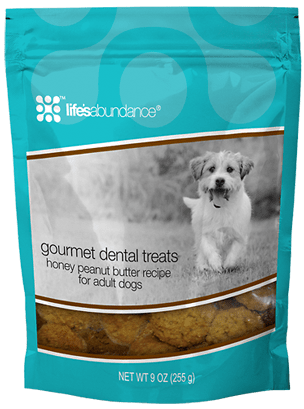 Dog also LOVE crunchy treats like the Life’s Abundance Gourmet Dental Treats. Couple these chews and treats with regular brushing and you’re on your way to helping your best buddy keep his teeth gleaming white and his breath fresh! As far as the brushing itself goes, ease into it. Sometimes both dogs and their owners need some time to get used to the idea. 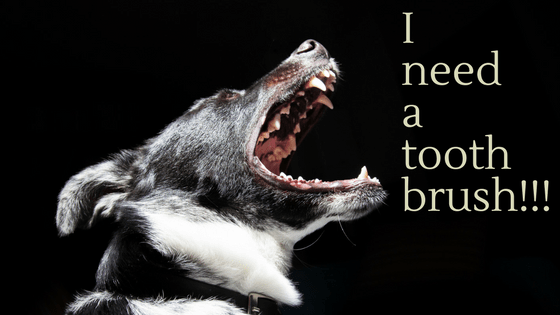 Start out getting your dog used to you handling his muzzle and his teeth. Maybe put a tasty treat like some peanut butter or meat flavored baby food on your fingers and allow him to lick it while you handle his teeth? Once you and your dog are comfortable with your hands in and around his mouth you can begin to brush the teeth. If his patience wears thin and you only get a few teeth done the first few times that is okay, slow and steady wins the race! Just do a few different teeth the next time. Gradually his tolerance for it will lengthen and you’ll be able to get all the teeth brushed. Don’t forget to give him a special reward after you are finished. A favorite treat, toy or scratch behind the ears should do it. Before you know it your dog will be looking forward to toothbrushing time! Here’s a link to our store where you can find the treats we feed our herd!! !